21 Oct The L Word… What if he doesn’t say it back? Breathe… First and foremost, it doesn’t mean anything. It simply means you feel love for him, you feel like you’re falling in love and you spoke it out loud. That’s the simple truth. His silence doesn’t likely mean anything about you. That’s most critical to remember. Our woman’s mind loves to make up stories about what men’s words mean, or in this case, what his lack of words means. The problem arises because men speak literally and women don’t. Men say exactly what they mean, nothing more, nothing less. Women, more often embellish or couch their words. Women can speak around the truth, with hidden meaning, hope (and expecting) that he’ll catch on. So knowing men are literal in their words and women aren’t, let’s go back to the unreturned “I love you.” If you’ve been spending enough time together laughing, playing, and romancing that you’re experiencing that loving feeling, something is happening for him too. He may also be falling in love and just isn’t clear about it yet. He’ll speak it when he’s clear. I suggest patience, and most importantly, openhearted love. If we’re only willing to love when the love is returned, we’re in for a tough relationship road. If you really are falling in love, love him through his silence. Do you really love him or do you actually subconsciously want to know if he loves you? Did his silence suddenly change the way you felt? I’d suggest not. I’d suggest, that you’re now feeling vulnerable because of the possibility that the love you feel may never be returned. Getting into relationship is beautiful risky business. We have to risk rejection, complete heart-break, if we want to truly know the depths of love. In essence, men commonly relate differently to their feelings and emotions. All of us, men and women alike, have faced heartbreak. If a man attempts in a new relationship to protect himself from future heartbreak, he may wait longer to express his love. His deeper feeling of fear (that he may not even be aware of) may win over his love, at least in the beginning. As long as it’s not too long, that’s ok.
As we’ll see in a moment, saying the L-word too quickly can lack depth and truth, and even indicate a desperate or needy energy. Others have been wounded and it takes longer to trust. Even without a wounded heart in the past, some men arrive at the deeper knowing of love slowly. Others arrive more quickly. So, if you say it and he doesn’t say it back, be patient. Give him time to find it. You want a man who will always be genuinely authentic with you. And, equally important, continue being authentic yourself. Tell the truth. Speak of your love. You can genuinely love a man even if he’s not sure he loves you yet. Soon enough, he’ll either feel the love too, speaking it or he won’t, and you’ll know he’s not the right one and be free to move on. What if You say it but he doesn’t feel the same way…. What if He says it but you don’t feel the same way…. You may be wondering, How soon is too soon for anyone to say it?… In general, you can’t say it too soon. There are no rules in love. Love at first sight happens. How someone reacts to your expression of love is much more about their emotional wiring and programing and much less about the words themselves or when you said them. Too soon can happen when we confuse infatuation and lust with love. Too soon can happen when we’re hoping to get a “hole” in our heart or our soul filled by another. Think “re-bound” relationship or “serial” relationship expert. These early “I love you” expressions tend to come from need, desperation or longing. Our heart wants to be there, so we say it, even though, if we’re really honest with ourselves, we don’t feel genuine deep love. True love arises when our heart opens fully and we see the other person beyond their faults and patterns, when there is no need for the love to be returned for us to feel complete. But what about deciding how long is too long to wait to say/hear it?…. Again, there are no rules. If neither of you is saying it, then you both may be on the same time trajectory or, as we’ll discuss in a moment, maybe this relationship isn’t about deep love. Your soul will know when it’s too long. Let’s put all of this together…. If one of you has been saying it for a while, a couple of months or more, and the other hasn’t joined in, this could indicate that you have different goals or long-term expectations for the relationship. This could be the right time to sit down and have an honest conversation about why you’re both in the relationship. In the beginning, did you talk about the possibility of falling in love and long-term partnership or marriage? Is one of you looking for more of a friends-with-benefits situation? Are you both moving toward long-term commitment or is one of you, happy just hanging out? Alternatively, the one not saying it may have been deeply hurt in a past relationship and is simply too scared to say it again. Some part of them may have decided it’s not worth getting that close and risking another heartache. In this case, you’ll want to know that up front. Unfinished business, including emotional hurts, from past relationships create serious roadblocks to having a healthy happy relationship now. Either way, if it’s been a few months and you haven’t met “in-love” and you want to, it’s probably time to have that honest conversation. Now, what if no one is uttering the “L” word after a set period of time… If you’ve been hanging out for awhile, and neither has said it, and it doesn’t bother you, then you probably haven’t even noticed it’s been missing. In this case, you’re probably fine. If, on the other hand, you’re sitting around biting your tongue, wondering when he’s going to utter the magic words, then you need to have that “get real” conversation. Or, if it hasn’t been said because you know the relationship isn’t really going anywhere, ask yourself, “Why am I still hanging out here? Am I playing the better-than-nothing game, even though what I truly want is to be in-love?” It might be time to move on. And, there is another possability to consider… If you’re both in it for fun and you’ve communicated your needs, desires, and expectations, then just enjoy! I truly hope this resonates with L word questions you may be experiencing. 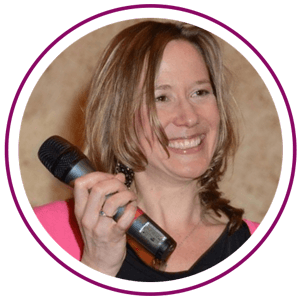 If you’d like to discover more about your relationship or yourself, I urge you to schedule a free Discovery Session with me by clicking HERE.